When our youth - in Oakland and around the world- are given relate able leadership and access, A new generation of leaders will emerge. Fam 1st Family Foundation is focused on the under served youth, aiming to build new generations of innovative thinkers to create solutions for the future of Oakland & the World. Through passionate leadership, Marshawn, Josh & Marcus grab the attention of today’s youth in an unapologetic manner to combat their harsh reality and provide a way forward. This rebellious, unfiltered approach to philanthropy WORKS! 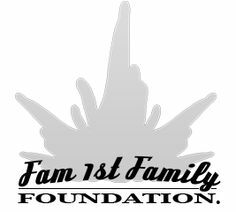 The Fam 1st Family Foundation saves the lives of black and brown youth on a daily basis and is raising the consciousness of a broken community to become more self-sustaining, more accountable, and less dependent on outer entities. Each philanthropic endeavor strikes the unique balance of athletic appeal and scholastic achievement in a neutral, yet nurturing environment.